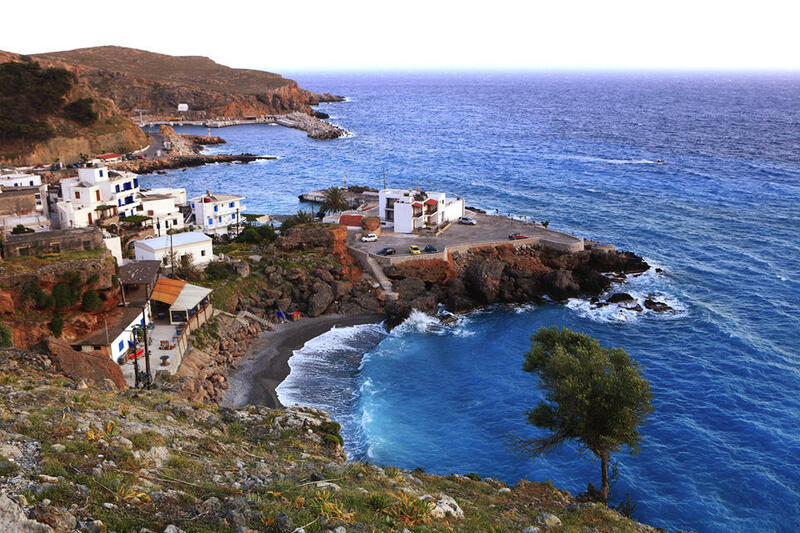 Sfakia is both a region in Crete, and a village on its south coast. If we hold to the image of Crete as having the shape of a westward-flying, wingless dragon, the region of Sfakia, were you to paint it red, would make it into a "ruby-throated dragon." 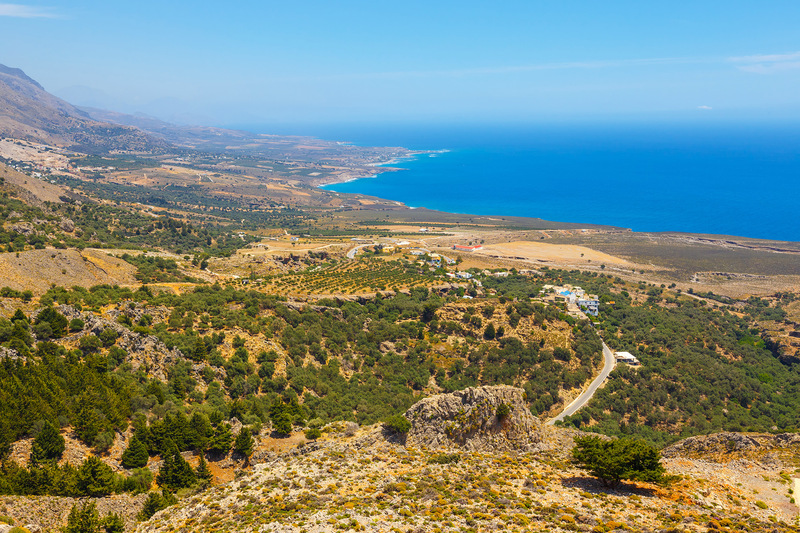 Which is to say, that this region, Crete's largest geographically, would be like a huge splash of red on the dragon's throat, extending northward halfway to the back of the head, which of course is Crete's north coast. Geographically, this puts Sfakia in the island's southwest. Much of this area is covered by the moonscape of the White Mountains (Lefka Ori), which make it the least populated area of Crete, the largest, the most inaccessible, and the one area of the island the Turks never manages to subdue. Because of that it was always a hotbed of Cretan resistance, and to shift the body parts metaphor a to a human model, a thorn in Istanbul's side. The village, 75 km south of Chania, is year-round home for some 300 souls. Just to the east 1.5 km the usually dry riverbed of the Sfakian Gorge empties into to sea at a beach called "Filaki," the Greek word for prison. There's a story there somewhere. You'll find footsore hikers in Sfakia, not because they hiked the Sfakian Gorge, but because they hiked to more famous Samaria Gorge, some 20 km to the west, and then took a boat from the Gorge's mouth at Agia Roumeli to Chora Sfakia, whence they will take busses up to Chania over the hump of the White Mountains. The road itself is quite a trip- you enjoy the vista of rank upon rank of treeless mountains, negotiate a lot of hair-pin turns, hugging the side of the white stone upgrades, the driver always alert for rock slides and impediments to the journey. the road takes you through the villages of Askifou and Imbros. Imbros is a great place to buy "sfakian pies," a local creation resembling flour tortillas with an anthoturos (sort of a goat version of cream cheese) filling. Sfakia as a region is the most traditional in Crete, and the most desolate, especially high up in the Lefka Ori, which can rise to 2,500 meters and scarcely a tree can be found, giving them a stark, lunar aspect. Chora Sfakia has a small harbor, from which Anzac troops fled southward to Egypt in late spring 1941 to escape the rapidly approaching, victorious Germans. The village economy is tourism-based, and was originally (and still is) a fishing village. 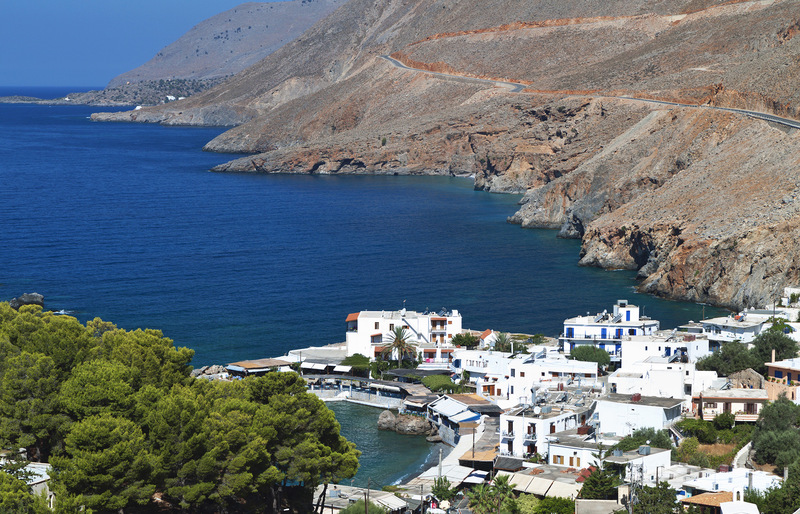 Sfakia's a great place to escape the crowds. There is no nightlife to speak of, other than the Greek/Cretan habit of sitting up half the night enjoying the cool breeze, talking, sipping coffee or ouzo, and munching on mezedes. There are many small coves with little-used beaches in the area. There are also a lot of hiking trails leading into the mountains to get your blood oxygenated. 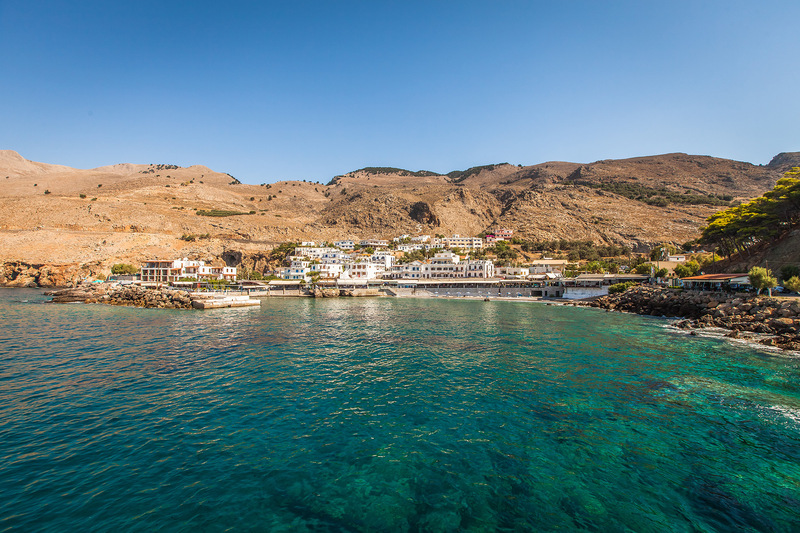 The nearby villages of Loutro, Lykos, Frangokastello (which is a castle, not a village), and Agia Roumeli are all a relatively short boat trip away, and each have their interesting features. 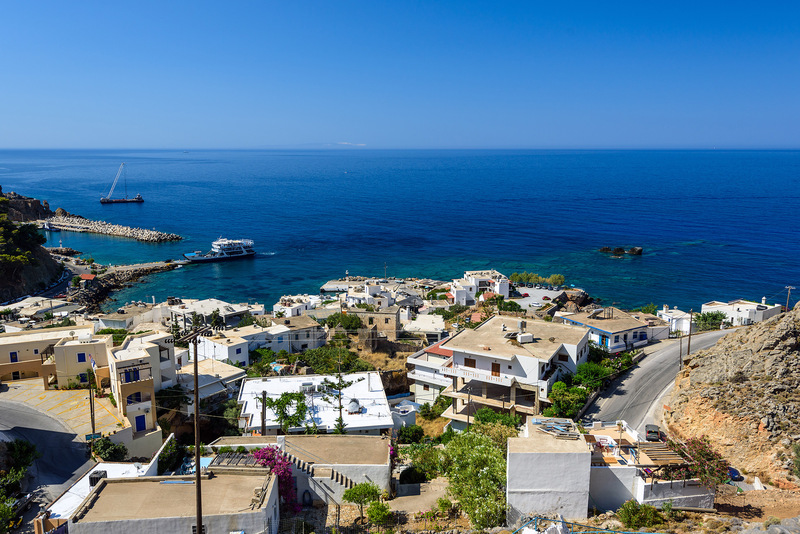 Whether it's for a couple days' excursion from Chania, or a full-blown vacation, Sfakia is a destination for the adventurous, and for those seeking a break from the beach/party culture.